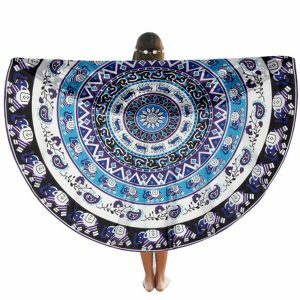 A beautiful handmade Mandala roundie towel featuring a center mandala design. 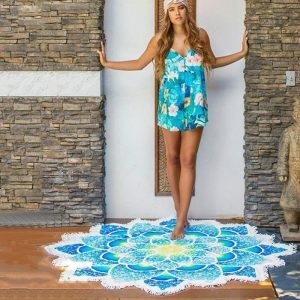 The strong durable weave gives this hippie yoga mat a smooth feel. This unique mandala design would make for excellent home decoration tapestry. 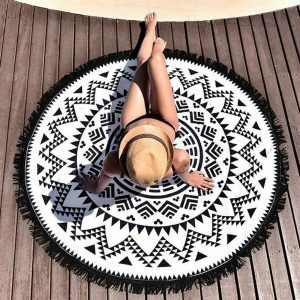 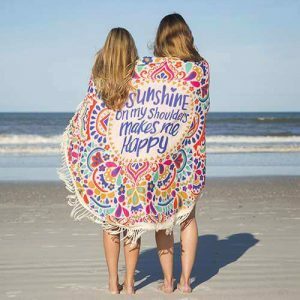 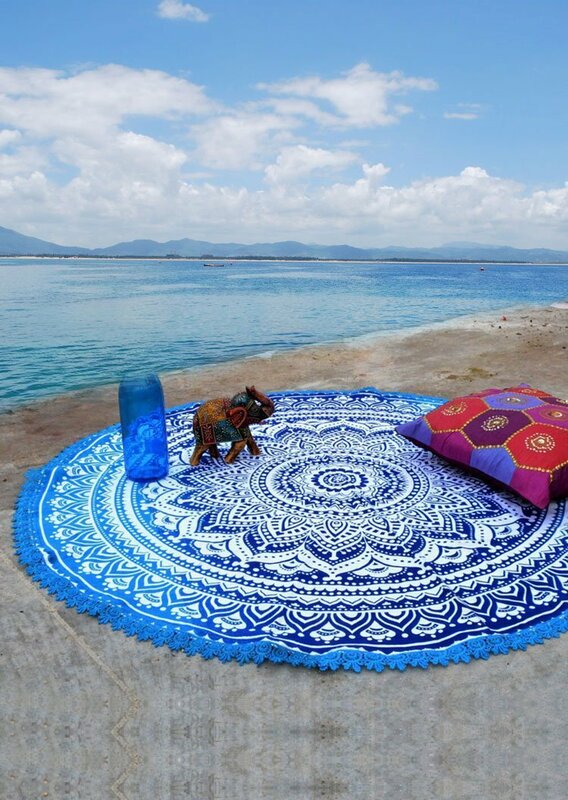 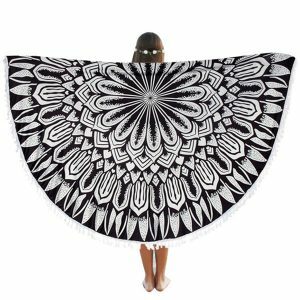 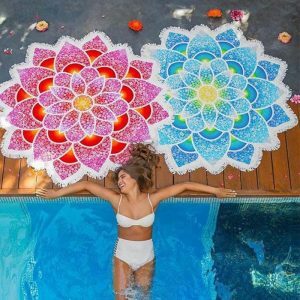 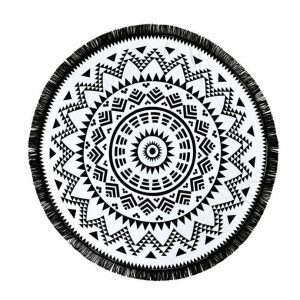 Multiple usages: Yoga mat, round beach towel, room accessory, beach blanket, picnic blanket, wall hanging, sofa cover, a beautiful bed cover, an elegant tablecloth a room divider and much more. 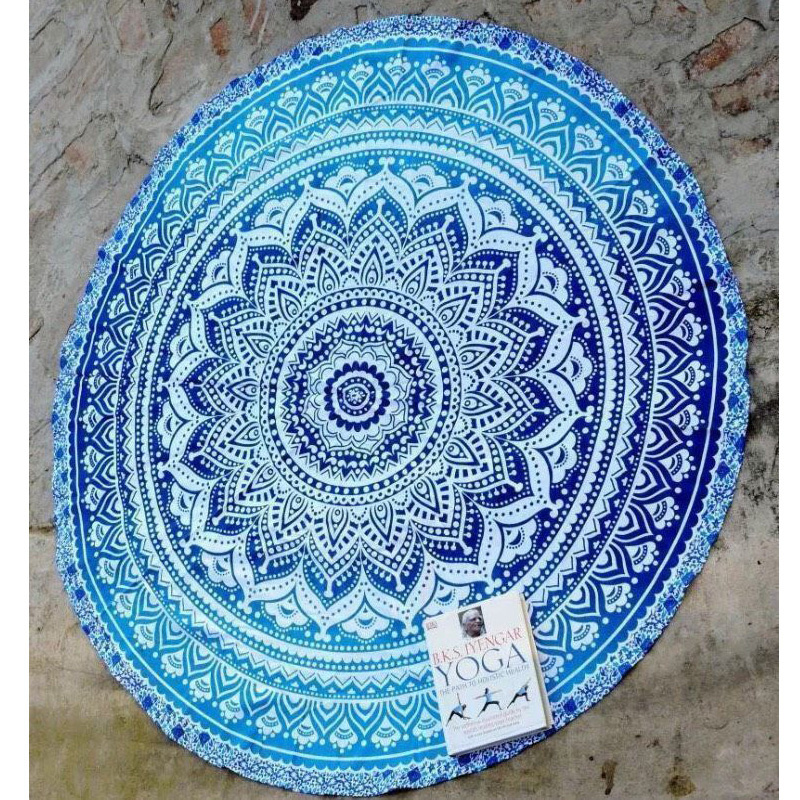 Perfect as a gift for family or friends. 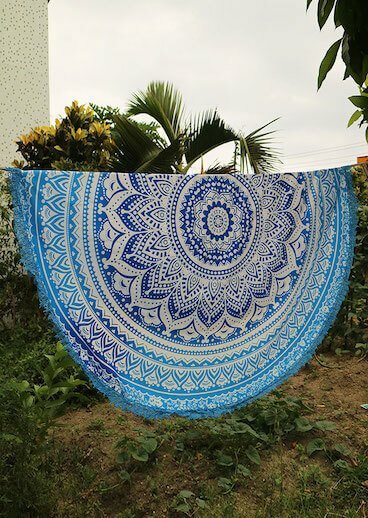 Washing instructions: machine wash it separately in cold water tumble or hand dry.